Marcel's Letters is an Eric Hoffer Book Award Category Finalist. Learn more about the Eric Hoffer award here. 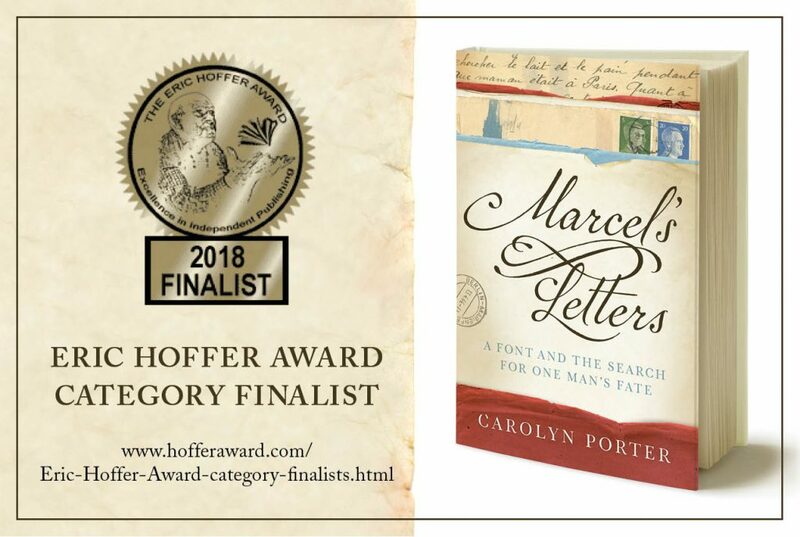 I was happy to learn “Marcels’ Letters” was a category finalist for the Eric Hoffer Book Award. “The Eric Hoffer Award honors freethinking writers and independent books of exceptional merit. The commercial environment for today’s writers has all but crushed the circulation of ideas. It seems strange that in the Information Age, many books are blocked from wider circulation, and powerful writing is barred from publication or buried alive on the Internet. Furthermore, many of the top literary prizes will not consider independent books, choosing instead to become the marketing arms of large presses. “Honored books are from small, academic, and micro presses, including self-published offerings. Throughout the centuries, writers such as Emily Dickinson, James Joyce, Walt Whitman, and Virginia Woolf have taken the path of self-publishing, rather than have their ideas forced into a corporate or sociopolitical mold. Today, small and academic presses struggle in this same environment. The Hoffer will continue to be a platform for and the champion of the independent voice. Winners of the Hoffer are given prizes, honors, and worldwide media exposure, as well as being covered in the US Review of Books. See the full list of 2018 Category Finalists here. Sign up to receive occasional emails with news and project updates. Click here to license the font that started it all. may only be used with written permission.